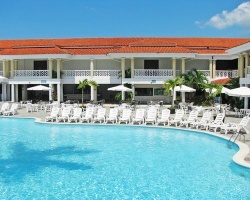 *Hotel Beach House Playa Dorada* is on the northern coast of the Dominican Republic. 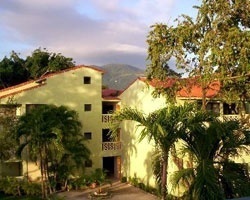 Located on the beach, the resort offers excellent water sports. You can enjoy snorkeling, boating, deep-sea fishing, and windsurfing on site or in the area. The energetic vacationer can discover outdoor opportunities. The resort offers a great spa, as well as La Casita, which demonstrates the traditional Dominican country-style life for visitors. For a change of pace, spend some time wandering through nearby Puerto Plata, a harbor city founded more than 400 years ago, or visit the Playa Dorada Center. Tropical, beachfront vacation mecca! 2 weeks for sale on same contract! Yearly usage in February week & October week! Rtu until 2110! Make offer!